My love affair with photography began when I was a teen. I took a photography course with two of my high school friends and my mom was kind enough to buy me a beautiful Pentax K1000 camera. I loved that camera. I carried it for many, many years, resisting digital photography for as long as I could. But you can't argue with the convenience of digital, especially when you take pictures daily for your blog. The downside of digital is that many of us (me included!) never actually get the photos printed. That being the case, we had better make sure we have them safely backed up so they aren't lost because of a computer virus or technical malfunction. 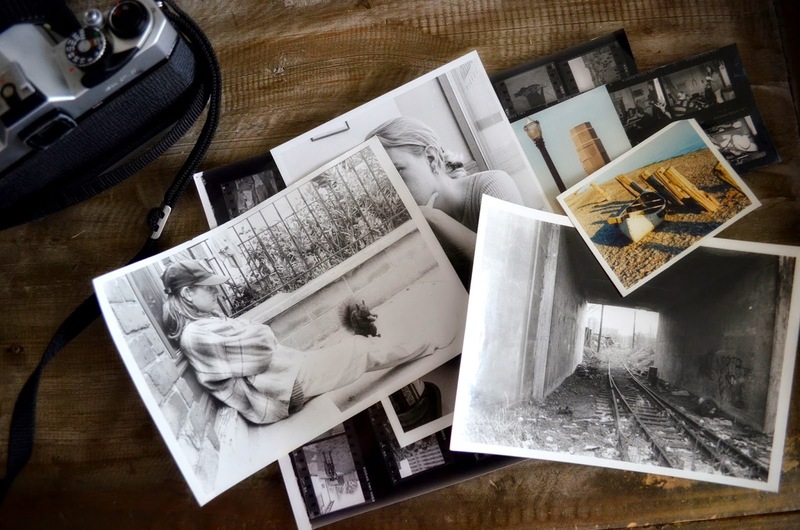 I received a handy tool recently to help in that regard - Picture Keeper is a quick, easy way to back up your photos, thereby protecting precious family memories. 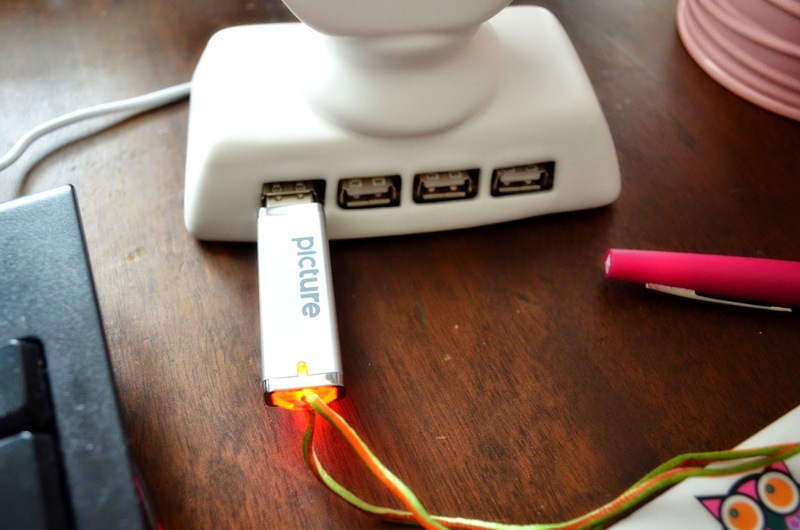 Picture Keeper comes pre-loaded with software, so all you have to do is plug it into a USB port. Then, with a few easy clicks, Picture Keeper is off and running, automatically locating all of the pictures on your computer. By default, it backs up the "Pictures," "Documents," "Desktop" and "Sample Pictures" folders, but you can choose to back up specific folders. Picture Keeper found a shocking 30,202 photos on my computer! Plus it skipped 2,073 duplicates. Looks like I should have got a Picture Keeper PK PRO! It stores anywhere from 62,500 to 250,000 photos, depending on photo size. The good news is, once one Picture Keeper is full, you can insert another one and it will continue where the first left off. While I organized and deleted some of my photos before launching Picture Keeper, I obviously had more work to do. The problem is, if I waited to organize all of my photos completely, I might never have gotten around to backing them up. Better to to do it, whether organized or not! The device also backs up videos. There's no software to install, wires to connect, passwords to remember or monthly fees. And it's PC and Mac compatible. You can also use it with your digital photo frame or to print photos at a kiosk. Based on my experience, I suggest going one up from the one you think you need! How many photos would you guess you have on your computer? 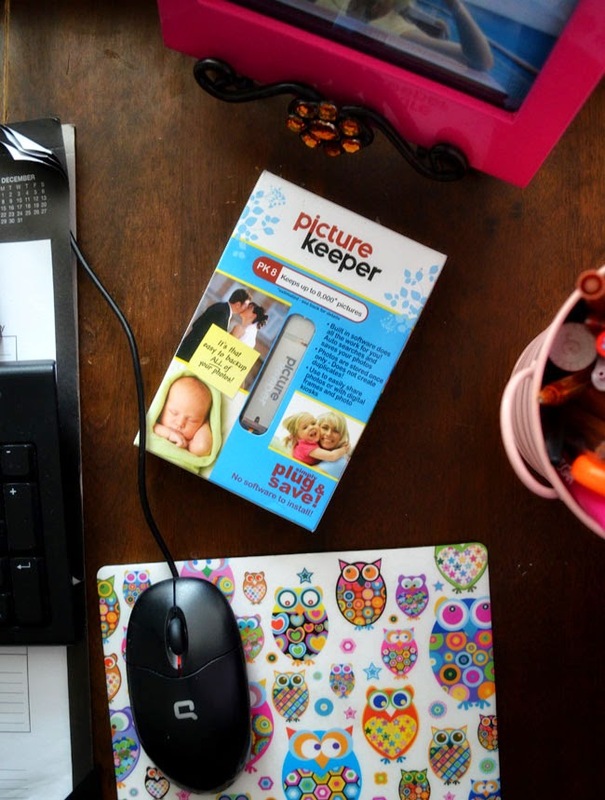 Enter to win a Picture Keeper PK 4! 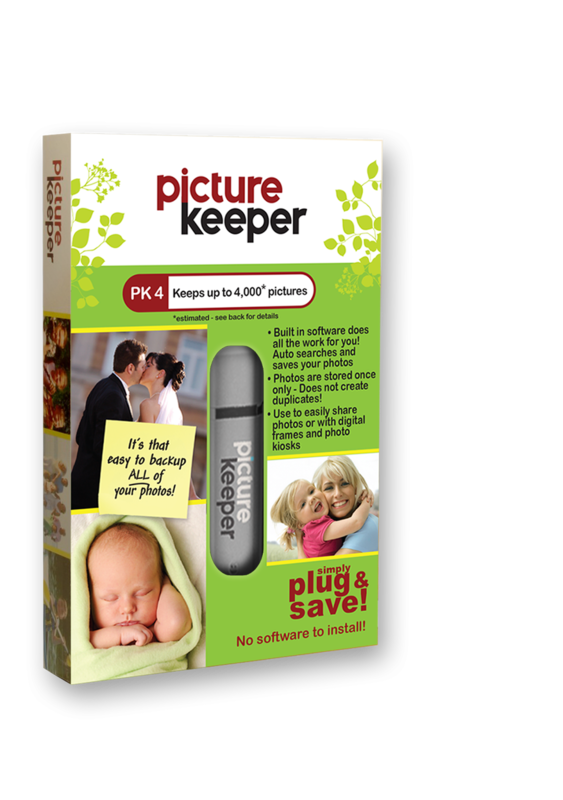 Residents of the US and Canada can enter to win a Picture Keeper PK 4. Use the rafflecopter below until May 19th. Picture Keeper has agreed to give away the PK 4 device. I was not paid in cash for this posting. I was sent a product for review and all opinions are my own. I have so many photos on the computer. I'm guessing over 5000 photos. Oh good lord-- between all the pictures I have for classes, historical photos I've collected just because, Harper Ann's adventures in foliage photography, all the pics for the blog and all the pics not used on the blog, I would have to guess close to a gazillion. Maybe a billion gazillion. I only have a couple dozen pictures on my computer. My husband's computer is the "Keeper of the Photos." I have over 1,000. too many to sort! OMGoodness... I have over 5,000 plus! This would be SO appreciated!!! I would guess around a 1000 or so, but id probably be surprised at the actual amount. I'd have to guess at about 4,000. I think it's about 400. Several hundred or more but less than a thousand. I have about 200 on my computer. I have 3000 sitting on my phone. Likely at least 20,000 on my computer. Such a daunting task to go through them all. Oh boy at least 5000! I'd love to have a place I know they'd be safe!